President Kumaratunge has instructed the acting Inspector General of Police to bring normalcy in the Trincomalee district by deploying more security personnel in the problem areas in the district, Presidential secretariat sources said. In the meantime, the North East Muslim parliamentarians Forum is to meet Tuesday at the parliamentary complex to review the security situation in the Trincomalee district, especially in Kinniya, according to Forum Secretary Mr.M.L.A.M.Hisbullah. Mr.Hisbullah further said a delegation of the Forum would meet the President and Prime Minister Tuesday evening to bring to their notice the hardships of Muslims currently undergoing in the Trincomalee district, sources said. Meanwhile, following the grenade attack in Faisal Nagar in Kinniya in the Trincomalee district, the Tamil people of the area left their homes, fearing for their lives, and sought refuge at relatives’ homes in the China Bay area on November 23. 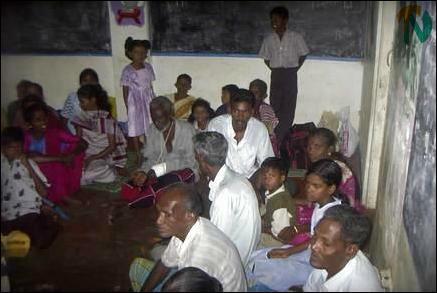 On Saturday, November 29, all these displaced people sought refuge at the Gandhi Nagar ‘Arivagam’ primary school. The Divisional Secretary for the Trincomalee town and suburbs provided cooked food to last for three days, and has taken action to accommodate the refugees at the Kalaimagal Vidiyalayam.in Anpuvalipuram. 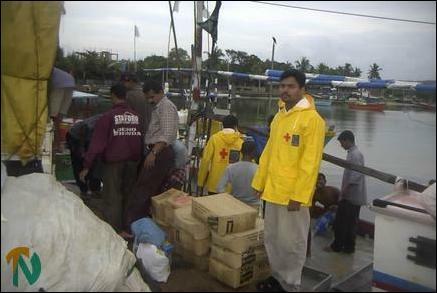 Tamil refugees staying at the 'Arivagam' primary school.